Please feel free to use this postcard in your printed or electronic professional staff recruitment materials. 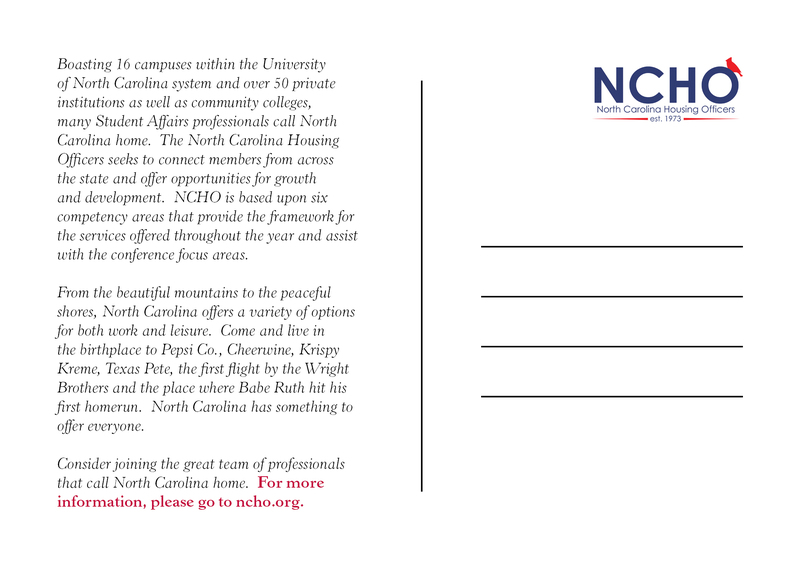 Our hope is that the postcard provides a few talking points about what NCHO, as well as North Carolina, can provide to professionals. Additionally, interested candidates can see how we are a united team across the state. Thanks for taking time to consider it as a part of your candidate packet. Best wishes for a successful recruitment season! 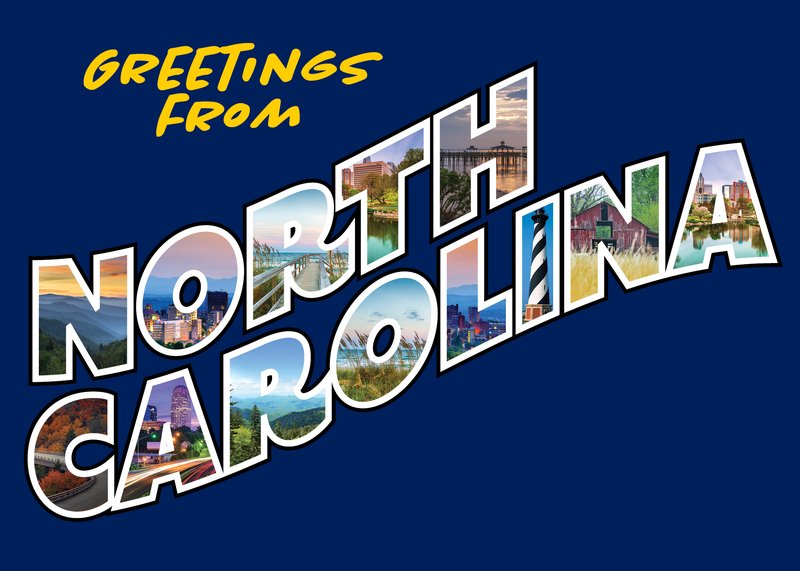 You may download the NCHO Postcard by clicking here!